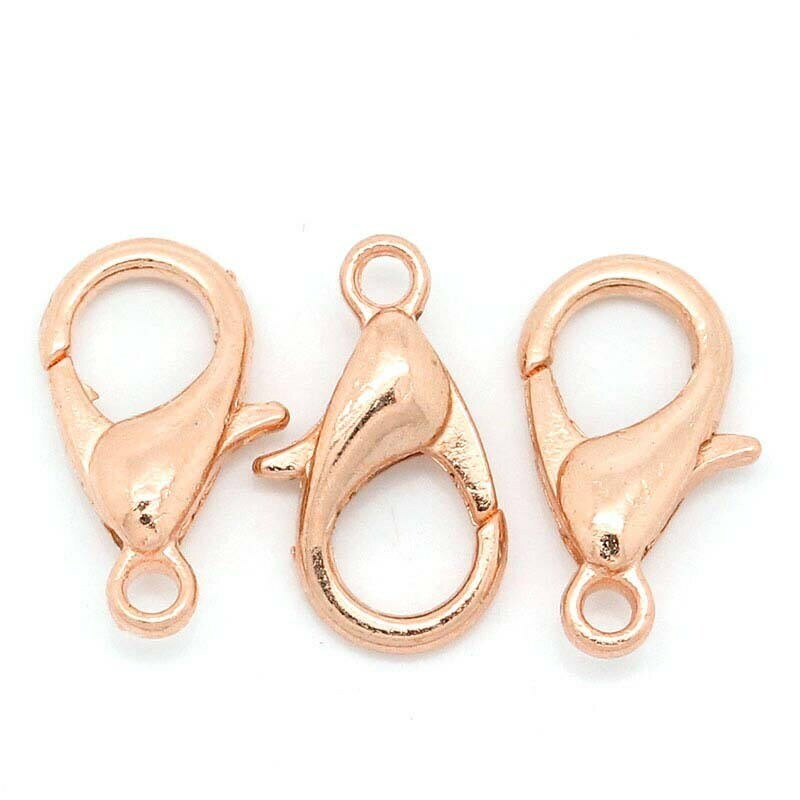 20 rose gold plated copper lobster claw clasps measuring 12mm x 6mm. 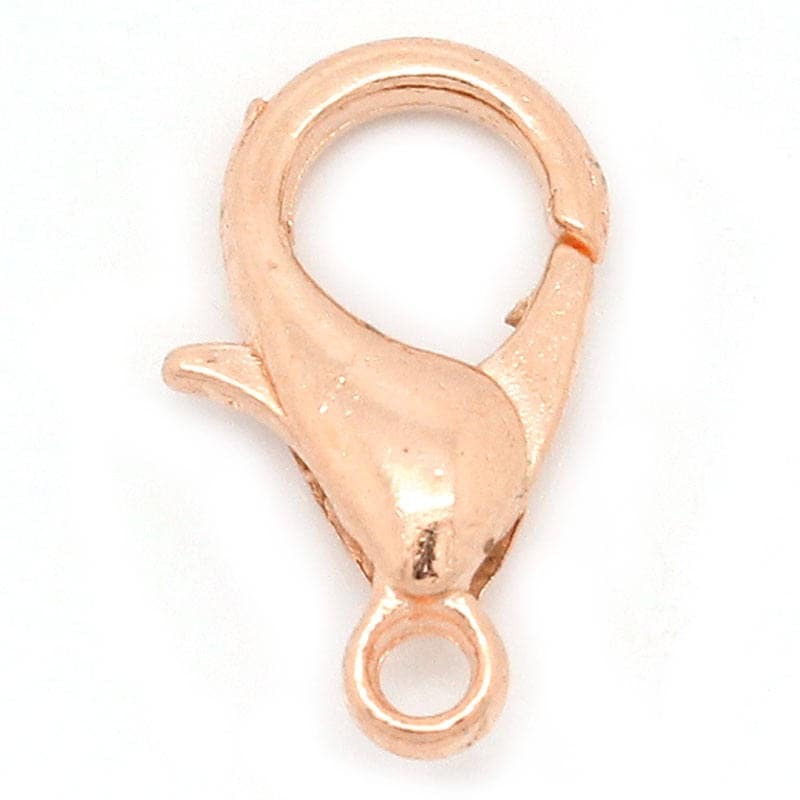 Lobster claw clasps are used with a jumpring or chain link to make a complete clasp. Pull trigger to open. Release and the clasp automatically springs closed. 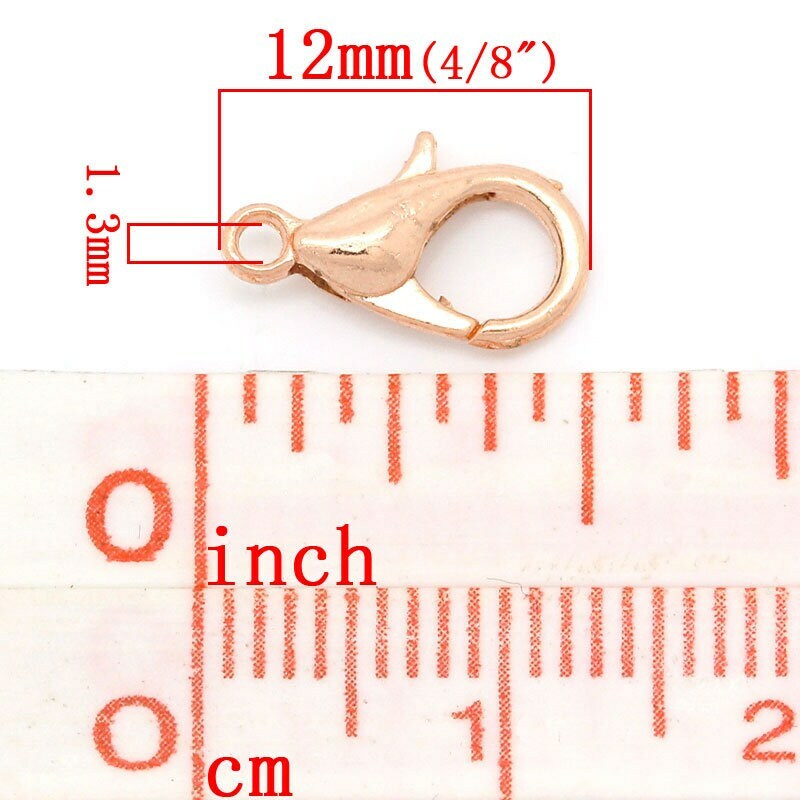 Popular size for jewelry making - necklaces and bracelets! Easy to open and close. Lead and nickel safe. Excellent Seller, Fast Shipping, High quality merchandise, Highly recommended.